However, they shouldn't be so quick to label themselves "experts." 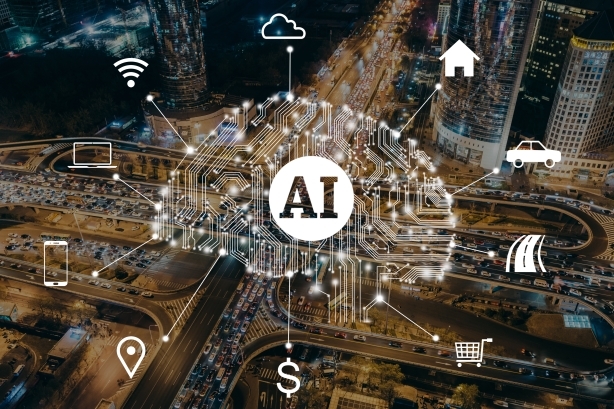 NEW YORK: Communicators are bullish about artificial intelligence’s potential to make their profession more efficient, according to a survey by MSLGroup and Publicis.Sapient. The study, Powered by AI: Communications in the Algorithm Age, surveyed more than 1,846 marketing and communications in-house leaders in Brazil, China, France, Germany, India, Italy, Poland, the U.K., and the U.S.
MSL’s parent, Publicis Groupe, is rolling out an AI platform called Marcel, which will essentially help its employees better collaborate and form teams more efficiently. MSL CEO Guillaume Herbette said he expects Marcel to be 100% operational by the end of the year. "AI will help us and our clients do better work," Herbette said. "It will add to brand-consumer engagement. They will try more than ever at [maintaining] that relationship." Learning more about AI is a "very high priority" for 39% of respondents, compared to 44% who said it’s a "fairly high priority." Only a combined 17% said it’s "not a priority at all" or a "low priority." Another surprising trend emerged about PR pros’ opinions on AI matters. Of the respondents, 28% "strongly agree" with the statement that they’re experts in AI and another 42% "somewhat agree," while 20% "somewhat disagree," and 10% "strongly disagree." "To be perfectly frank, the numbers were a bit higher than we thought," Herbette said. "It is very, very aggressive, but at the end of the day, it’s a survey and those are the responses we got. They came as a bit of a surprise." However, the study doesn’t break out how these respondents are prioritizing learning about AI or how they are familiarizing themselves with AI, said Herbette. While 84% of respondents believe AI training is crucial, only 29% said their company is investing in AI training for the workforce, a figure that matches other industries, said Rashed Haq, the global lead for AI and robotics for Publicis.Sapient. One major takeaway from the study, said Haq, is that PR pros need more hands-on experience dealing with this technology. "The most surprising piece was how many people said they feel they’re experts in AI," Haq said. "It’s now just a matter of doing rather than learning. Unless you try to do, it’s hard to learn. My sense is that may be very optimistic." He added that, while a PR pro might know how an algorithm works at a high-level, figuring out how to apply it is much harder. Meanwhile, AI experts on Publicis.Sapient’s data and analytics team have mushroomed to meet client demand. Five years ago, AI experts accounted for 5% of the data and analytics team’s headcount, Haq said. Now, the firm has 600 AI experts onboard. Globally, 55% of respondents said AI will have a positive impact on comms; 38% have reservations, saying it will be both positive and negative; and only 5% believe it will be all negative. It’d be critical for comms pros to acquire more skills to avoid job loss, said 41% of respondents. Only 13% of respondents said AI will lead to job losses. In contrast, 35% said AI would actually create more jobs. Meanwhile, 7% said they weren’t sure and another 6% said there wouldn’t be much impact. AI will be used to support a number of functions: 47% said it’d be used in marketing, 42% in creativity, 42% in employee training, and 41% in insights and strategy. Only 26% said it’d support crisis management, 25% in measurements, and 25% in agency relationships. When it comes to how agencies leverage AI, 70% believe agencies are doing a good job, and 30% didn’t agree. Additionally, 50% of respondents are most concerned about data security and consumer privacy. Herbette said this should highlight the importance of "having a clear view of ethical attitudes" when it comes to providing counsel to clients. AI’s greatest risk, according to 20% of those surveyed, are job losses; while 19% cited the criminal use of AI technologies; and 12% cited machine-led error in decision making. MSL partnered with research firm Toluna for this study.